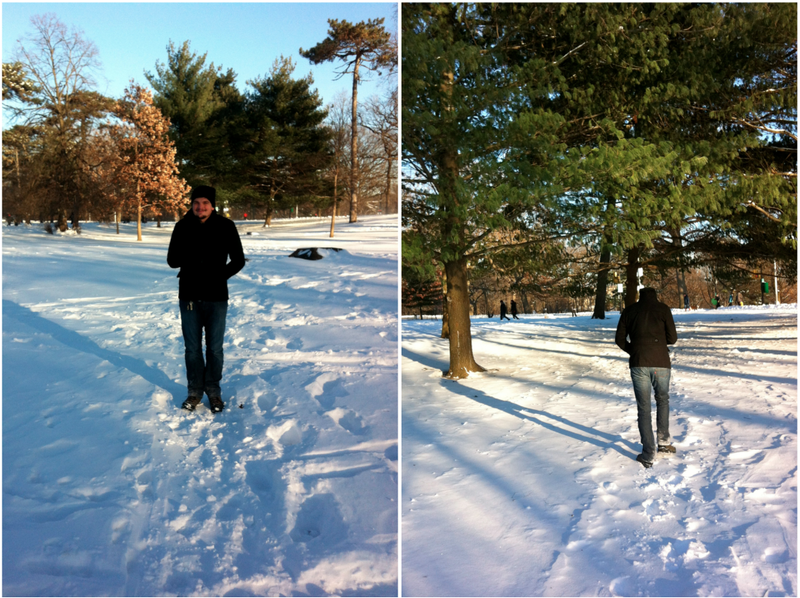 Thanks to Snowstorm Hercules, Preston & I had Friday off and decided to brave the cold and take a walk to Prospect Park. 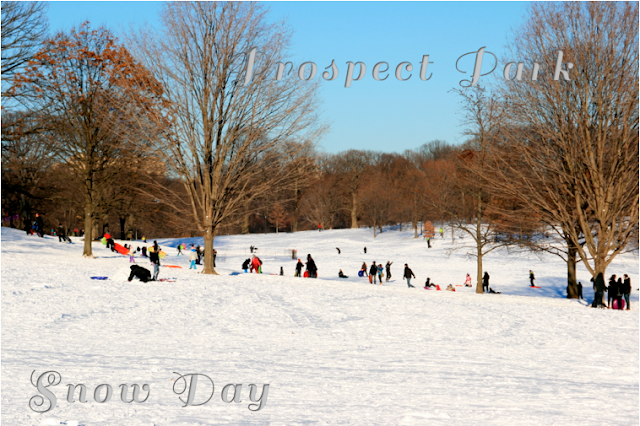 Prospect Park is one of our favourite places in NYC all year. It's so amazing how different it looks every season. 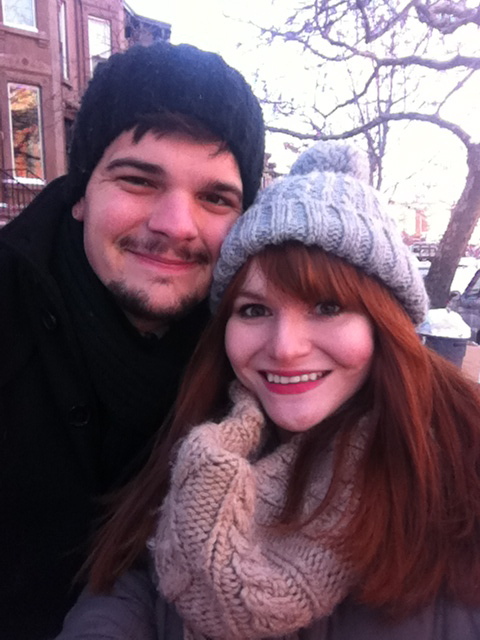 We live a few blocks from the park, so we had a fun, but chilly, winter wonderland-esque walk through the neighborhood. The snow was quite deep in some places. We should definitely invest in some snow pants! & sleds. Sledding would have been very fun. The snow was super fresh and powdery. Since we both grew up in Florida, we love when it snows. (Though all my Northern friends keep telling me I will get over it quickly. Well, it hasn't happened yet!) I used to visit my family in Minnesota for the holidays every year, so being out in the cold and snow reminds me of those times. Though I had on numerous layers, for the most part my ensemble was not water resistant. Nevertheless, I had to jump in and make a snow angel. We ended the afternoon with Vietnamese sandwiches and bubble tea from Hanco's on 7th Ave. By the time we made it back home we were freezing!